Colossal Fight Company offers judo from highly trained instructors, who have years of instruction and competition experience. Our instructors maintain active memberships with judo governing bodies, meaning that they stay on the cutting edge of the art. We highly encourage you to give us a call at (208) 840-0766 or send us an email to schedule your free classes! Judo is a martial art that focuses primarily on achieving a throw or takedown on a resisting opponent, and controlling an opponent on the ground. It was developed in the late 1800s by Jigoro Kano, who was a Japanese teacher and athlete. Today, judo focuses heavily on throwing and grappling. It is one of the most popular sports in the world, and can be practiced by virtually anyone. Judo's application can be summarized with a maxim that is often attributed to Kano: Maximum efficiency with minimum effort. 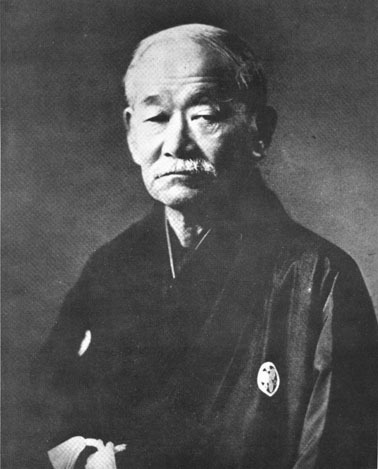 Judo's history begins with Jigoro Kano, who is almost solely responsible for the development of judo. Born in the mid 1800s, Kano began his martial arts journey by learning jujutsu, and was drawn to the idea of effective technique over pre-arranged forms. After years of work, he distilled much of what he had learned into three basic categories: throwing techniques, grappling techniques, and striking techniques. From the beginning, Kano's aim was to allow a smaller, weaker person to defend themselves from an aggressor by using optimally efficient technique and leverage. The underlying premise of judo is to use your opponent's strength against them, and in doing so allow a much weaker person to benefit from their opponent's strength. Through the use of randori, or live sparring, techniques can be safely evaluated on a resisting opponent. Randori allows judoka to begin by practicing techniques with virtually no resistance, and refine them to the point of working on much larger, stronger opponents. Kano did not wish to merely develop a martial art, or a simple collection of techniques and applications. Instead, he sought to develop a way, complete with philosophical context. Kano's philosophies certainly apply to unarmed combat, but are also useful for daily life. As judo grew in popularity, teachers began to travel from Japan all across the world to share the art, and demonstrate its effectiveness against other martial practices. As these teachers proved that judo was an extremely effective fighting style, they settled in a number of countries to teach. This spreading of the art has led to judo being one of the most popular and practiced sports in the world. Athetes from many countries practice judo on the local, regional, national, and international levels. Present: Today, judo is more popular than ever. Due to the widespread popularity of mixed martial arts (particularly the UFC), more people than ever are coming to learn martial arts. Additionally, judo led to the development of a number of effective martial arts, including sambo and Brazilian Jiu Jitsu. Due to judo's foundation of ensuring that techniques are effective and tested, most martial arts in the world can trace at least some of their techniques back to judo. Additionally, law enforcement around the globe incorporate judo into their defense and arrest procedures. Because judo offers the ability to restrain an opponent without causing lasting harm, it has allowed officers to protect themselves from criminals without permanent injury. You have the ability to join the family that spans the whole globe! We invite you to join us for training, and see what has made judo the most popular martial way in the world. Whether you want to learn effective self-defense, become a serious athlete, or just stay in shape, judo has something for everyone!